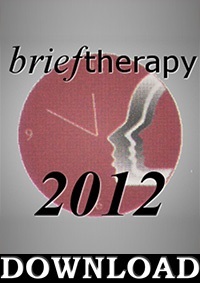 Brief therapy using narratives to spiritual images utilizes the innate human ability to create stories and to discover the solutions to problems that lie within the self. This approach utilizes principles of psychodynamic theory such as projection, as well as narrative therapy and hypnotherapy principles. With Elisa Gottheil. This workshop is an introductory presentation of a new narrative approach to therapeutic yoga that can be used by everyone in everyday life. We build a neuroscience bridge between the Cartesian mind-body gap with positive therapeutic narratives that accompany classical yoga movements and the four stage creative process for resolving our ongoing life issues. Mindfulness is a deceptively simple way of relating to experience that has been successfully practiced for over 2500 years to alleviate human suffering and to increase awareness. Recently clinicians are discovering that mindfulness holds great promise as an add-on to couples therapy and education leading to greater kindness, love and acceptance. This program will discuss, demonstrate and offer experiential activities on how mindfulness can facilitate brief changes when working with couples. This Short Course will explore the reciprocal contributions between hypnotherapy and Buddhist/mindfulness meditation. Participants will learn how to incorporate the language of mindfulness (spaciousness, acceptance/ patience, openness, compassion) into the therapeutic/hypnotherapeutic practices, thus helping clients embrace the benefits that both have to offer. Mindfulness-based psychotherapy provides an evidence-based model for integrating diverse cultural beliefs and wisdoms in therapy. 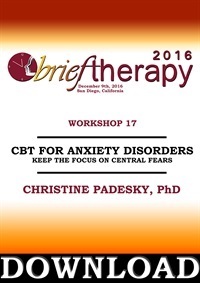 This course will demonstrate how to integrate cultural beliefs and wisdoms in short-term psychotherapies. Non Western societies attach more importance to the heart. The heart is considered central to producing changes in psychotherapy because a person validates reality not by how they think (cognition) but how the person feels (affect). Moreover, societal pressure and the focus on individualism unintentionally create “neurosis” and a tendency towards “narcissism” in our culture. Patients bring to therapy unhappiness caused by personal, social, professional, and moral problems, and therapists need to face them with an approach based on utilizing the hidden strengths in each component of the person. This workshop will present the Identity Strength Focused approach, with its method, techniques and metaphors to empower patients in healing their wounds, following spiritual values, finding the strength coming from mind-body coherence, empathy with others, and engagement in their job. Chronic trauma interferes with self-perception and self-regulation. We will discuss effective approaches. Eastern spiritual teachings tell us that “suffering” goes away when we dissolve the ego. But what is the ‘ego’ and how does one dissolve it? You’ll be introduced to a new and practical way of doing inner work that offers a precise way of dissolving the everyday sense of the ego. It can be used both to heal and resolve problems, and as a gentle personal practice. Typical results include *deep relaxation of the nervous system, *a greater capacity to deal with stress with grace and humor, *resolves sleep issues. The session will include group experience, demonstration, and practice of the first Wholeness Process. How can we optimize classical yoga with Ericksonian mind-body work? This experiential workshop utilizes Ericksonian approaches with the entire audience as well as individual volunteers. Through story and movement we will access new dimensions of our emerging consciousness with the 4-stage creative psychosocial genomic cycle. Open for all fitness levels. Using a simple three-part model of spirituality, you’ll learn how to infuse a spiritual sensibility into couples therapy even with clients that are non-religious, dogmatically religious or who are hostile towards spirituality or religion.